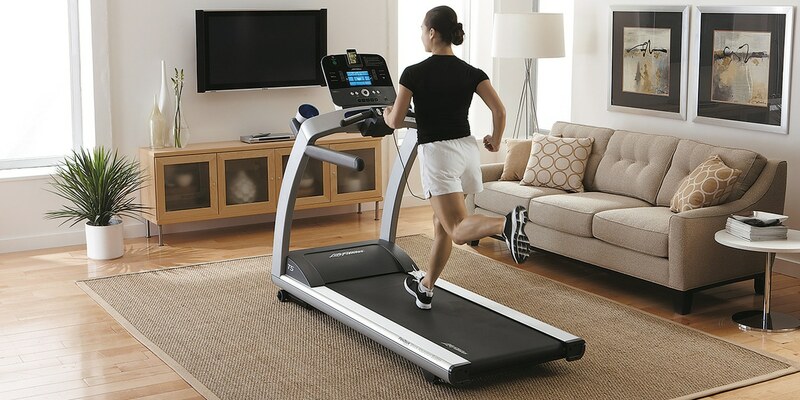 You are here:Treadmills » Informative » How to use a Treadmill? You just visited a gym and you don’t have any experience using a treadmill before. There is always the fear of embarrassment the moment you are planning to step in. Will I fall? What speed will I use? How many minutes will I run? Sometimes no one is around to help you in operating a treadmill and you have to use your instincts. Familiarize the control on the Treadmill, the only thing that matters are Start, Stop, Timer and Speed buttons. Before you hit Start make sure you set the Timer on how many minutes will you run. Then select which speed you will start. It’s advisable to start first at a lower speed or walking speed. Once you’re warmed up from walking you can increase the speed that you prefer. You can always adjust the speed while you are running. Look straight and don’t look around so you won’t lose your balance that will lead you to fall from the treadmill. You can also hold on the rails to help your balance. If you want to stop ahead the timer, you can press STOP immediately or decrease the speed till it will stop. It’s advisable to use the latter so you can cool down your body. After you know how to operate the treadmill you can start planning your program such as the speed, the duration or even the incline to increase difficulty of your effort. That’s it, now you are ready to use the treadmill easily.